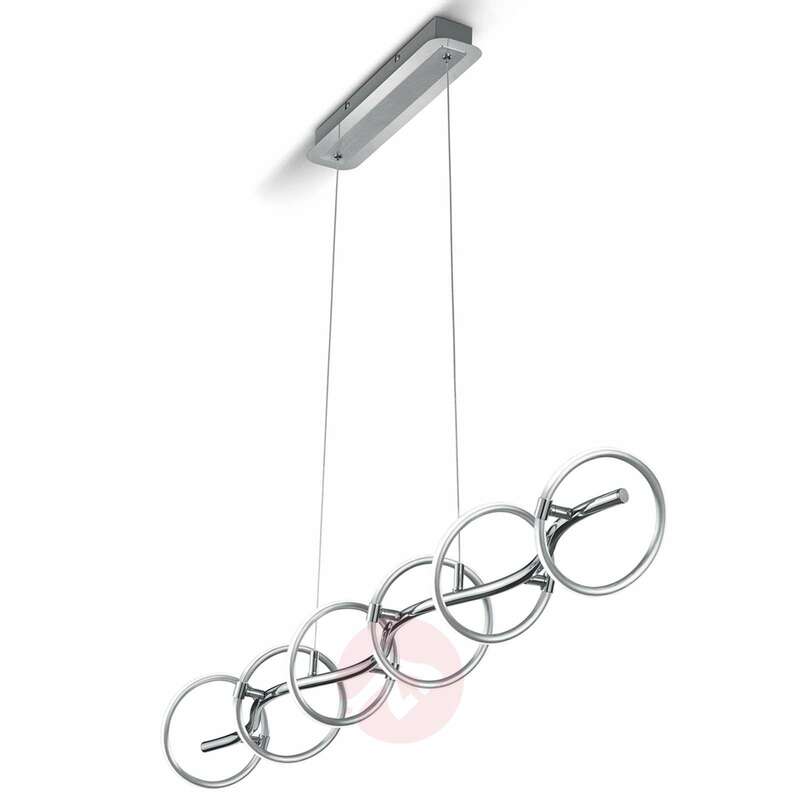 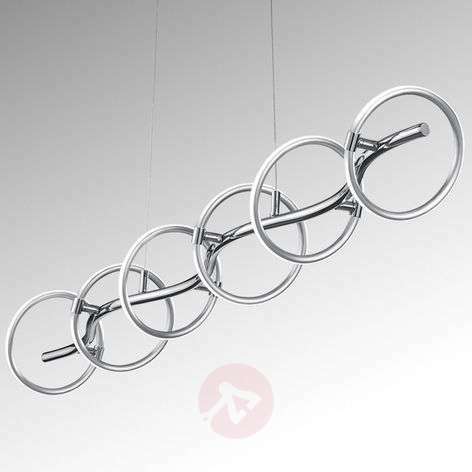 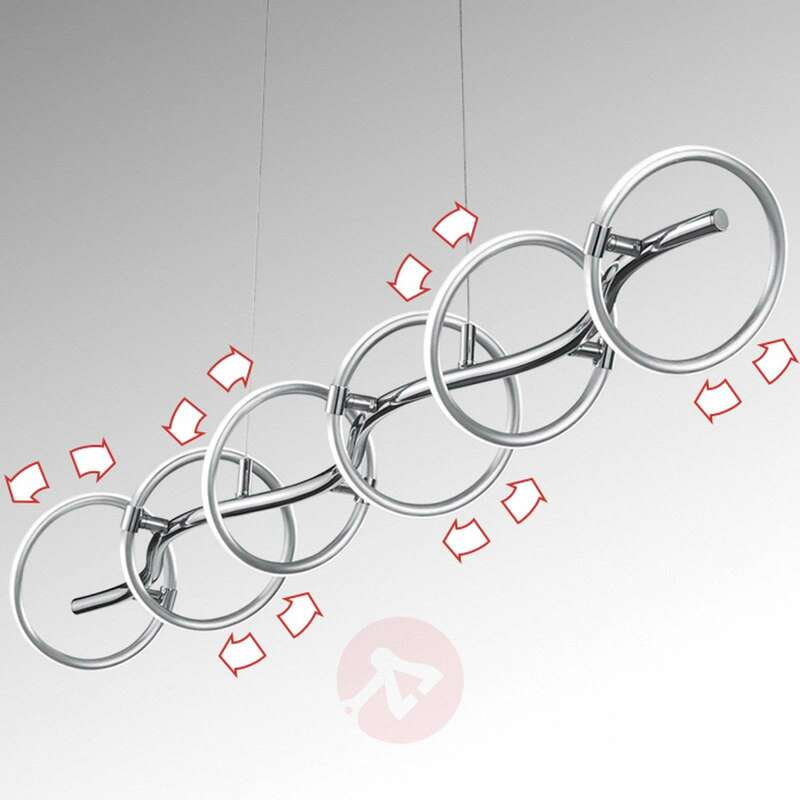 When you take a look at the six-bulb LED pendant light Olympus, you can see straight away how it got its name, even if there are only five “Olympic rings”. The individual metal rings have been placed with LEDs on the exterior which, with their pleasant light in a warm white luminous colour, create a cosy feel-good atmosphere. 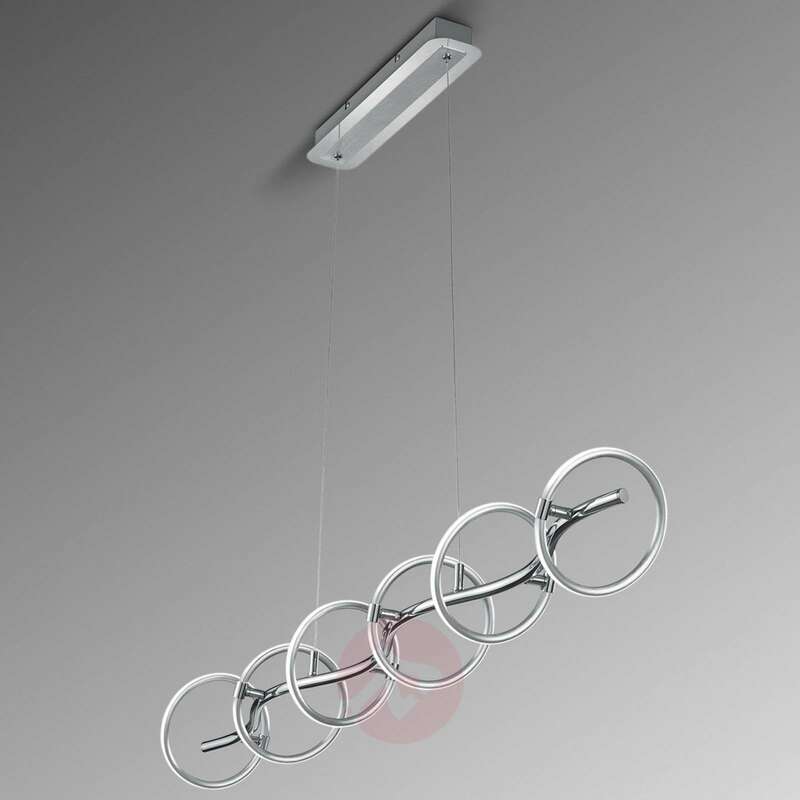 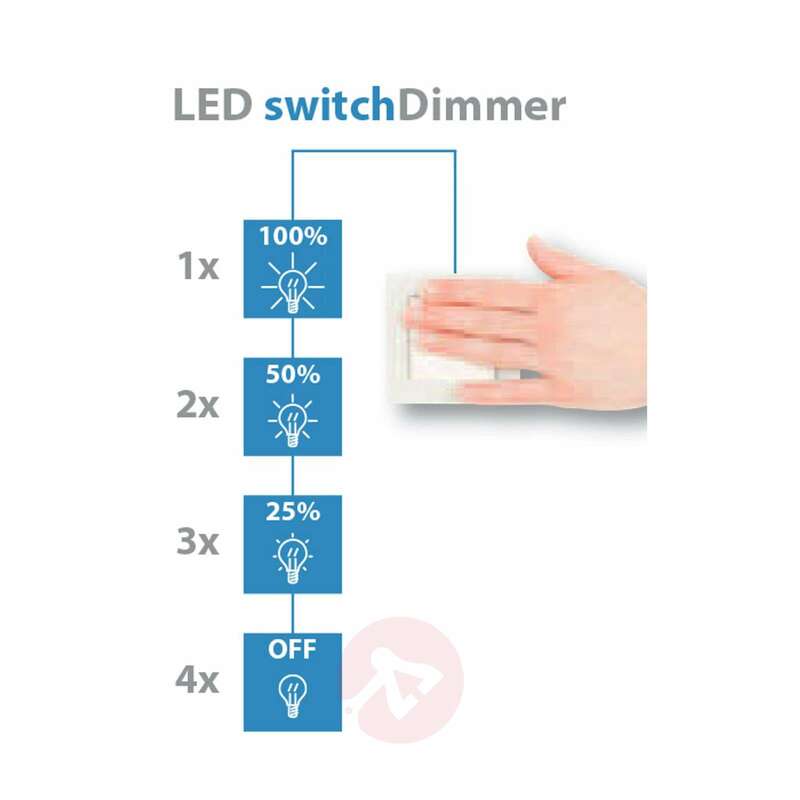 The rings are pivotable so that the light mood can always be changed according to preference as well as with the integrated dimmer switch function: When the wall switch is operated once, the light shines at 100 %, when pressed twice the light intensity is dimmed to 50 %, when pressed three times to 25 % and switched off again when pressed for the fourth time.